at 100TH ANNIVERSARY SPECIAL – SPIDER-MAN #1! Marvel is pleased to present your first look at the 100th ANNIVERSARY SPECIAL – SPIDER-MAN #1, from rising star creators Sean Ryan and In-Hyuk Lee. What does the wallcrawler look like in the far-flung future of 2061? 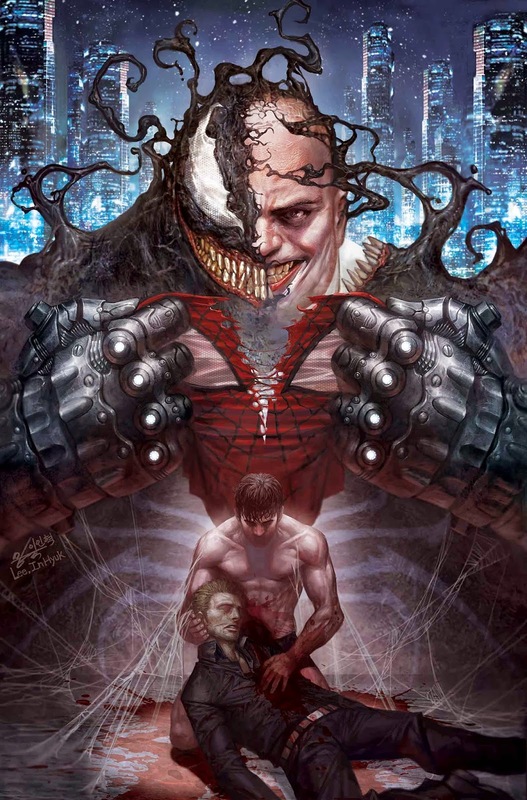 The Kingpin has taken control of his ultra-powerful techno-symbiote suit. One of his most powerful weapons in the hands of one of his most powerful enemies, Spider-Man will have to prove once again why he’s the greatest superhero in the world! “We’re jumping into a story already in progress for this issue,’” explains writer Sean Ryan in an interview with Marvel.com. “We’re treating this issue as if it was the last issue in a long arc that has been running in the Spider-Man books for a while. 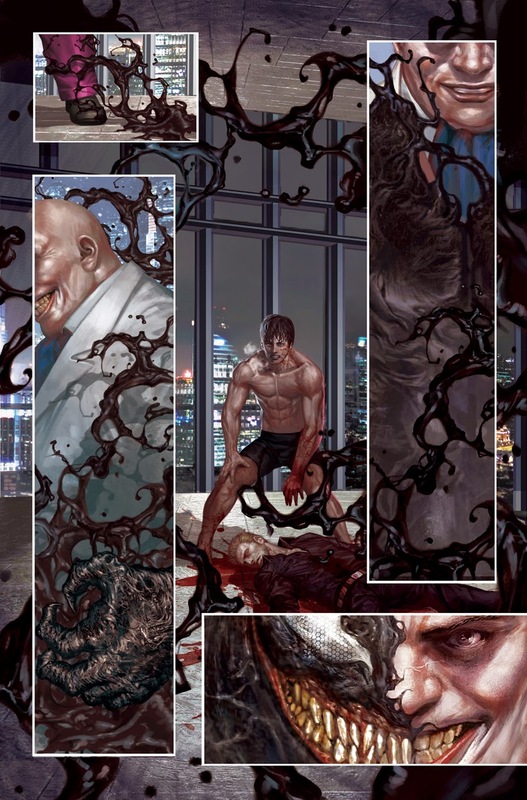 This issue sees the story coming to an end. 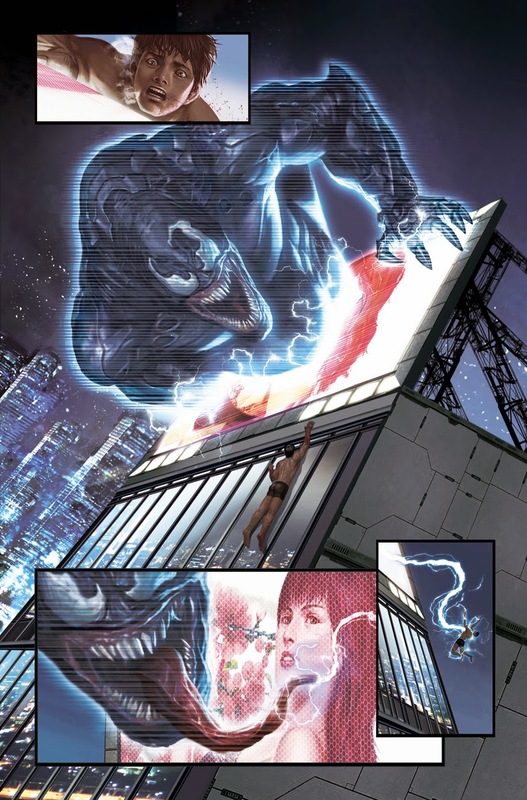 The idea of the story being that the symbiote is back, but it’s been infused with technology that gives its host the power to plug in to the grid and control anything connected to it. And this being the future, that’s just about everything. Each week in July sees a new 100th Anniversary Special featuring fan-favorite creators and rising stars as they envision the Marvel Universe of 2061! With the Kingpin in possession of a deadly weapon capable of limitless control, it’s up to the one and only Spider-Man to stop him. But how can he? Find out as the wallcrawler of tomorrow fights for his life when the 100th ANNIVERSARY SPECIAL – SPIDER-MAN #1 hits comic shops this July!